Three years ago, I began my journey into the online world. Like many of you, I knew nothing about websites other than being a visitor. I had never heard of WordPress, cPanel, DNS, web hosting… You get the idea. Our job as business owners and entrepreneurs is to try and figure out what we need and what we don’t need. It’s not always an easy task! The problem is certainly not a lack of advice. You can jump into literally thousands of Facebook groups and get thousands of recommendations, many of them different and even contradictory. Whether you are just starting out or you have been in business for a few years, you have probably heard these words: The Money Is In The List. I think that might be one of the few pieces of advice that is consistent no matter who you get advice from. You manage to put together a free ebook. You need to convert it into a PDF and create a book cover to display on your squeeze page. Now don’t forget how you will deliver this ebook via email, not to mention how you’ll collect those emails in the first place! Let’s assume you have all of that worked out. You have created your ClickFunnels account and gone all in with a full Etison suite. This is perfect because you will be able to do everything you need all in one place! You can create your squeeze page, collect emails, and deliver your ebook to those who opt in. Creating your opt-in funnel is the first step. ClickFunnels provides plenty of pre-made templates for you to choose from. You select the template you like and then replace the text, images, and/or videos with your own. Your basic opt-in funnel can have as few as two steps: the opt-in page and the thank you page. You get your funnel all laid out and designed how you like it. Now you set up your action funnel in Actionetics to deliver your free ebook to your new subscribers. When setting up your first email (which will contain a link to the ebook), you get a warning message: you won’t be able to send any emails until you’ve integrated with an SMTP service. 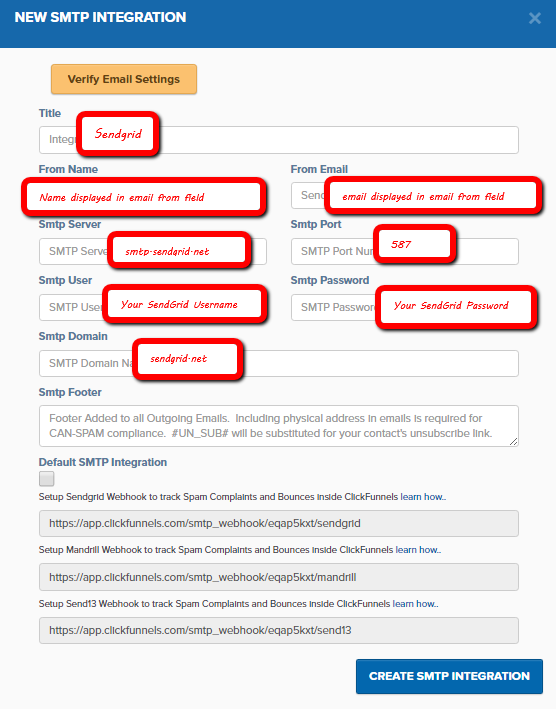 What is SMTP and Why Do You Need It? If you look up the definition of SMTP you will find a range of complicated definitions and that Simple Mail Transfer Protocol is the Internet standard for electronic mail transmission. The most basic way to explain it though is that it’s like your mailman. The mailman picks up mail from your house to send to your loved ones. The mailman also delivers mail to you (including all those beloved bills!). This is exactly what SMTP does for you, only with electronic mail as opposed to physical mail. Your autoresponder will take care of that for you without you even knowing about it. You don’t have to do anything extra to set it up. When using ClickFunnels however, you need to set up the integration from an SMTP provider. ClickFunnels has working relationships primarily with five providers: SendGrid, Send13, Mailgun, Mandrill, and Amazon SES. Honestly, they all do the job. Which one you choose is going to depend on your level of skill and knowledge, as well as your tolerance for tech and level of patience. If you’ve never looked at an autoresponder, bought a domain, or have zero inkling as to what an API is, then you may want to stop right now and pay someone to set up this integration for you. Of the five providers listed above, I think Amazon SES is by far the most complicated. If you are not technically inclined, I definitely recommend going with one of the other four. I found Sendgrid to be the simplest to integrate if you follow along with the instructions provided by ClickFunnels. It would be my top recommendation for anyone who does not feel up to any technical challenges! I have laid out the steps for you to follow below. Do let me know if you have any questions. Note that you can get started with a free account. Whether or not you need to upgrade will depend on how many emails you send out. 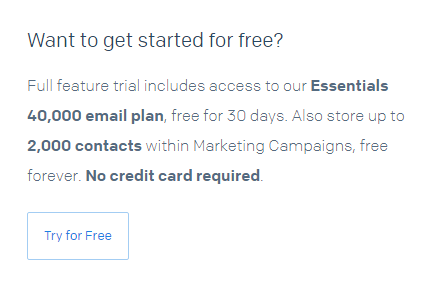 Click the Try For Free Button on their pricing page. Choose a username and password, enter your email, and then click the Create Account button. On the next page you will answer a few questions about yourself and how you plan to use Sendgrid. Scroll down to the bottom of the next page until you see the Verify Your Account section. If you don’t verify your account, you will be limited to 100 emails per day so I recommend doing this right away. Check your email and click on the link they will send you. Once verified you can get on with integrating with ClickFunnels. In the left-hand menu, at the bottom, click on Settings. Toggle the button to ON. On the left-hand menu under Setup, choose Outgoing SMTP. Fill in your information as shown here. 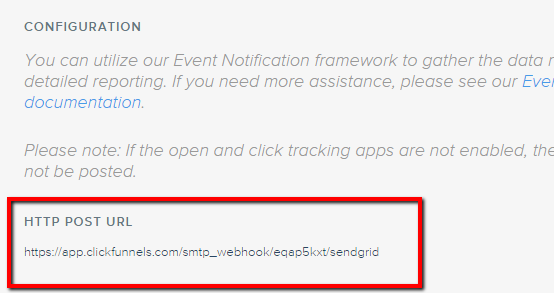 You’ll need to copy the webhook form ClickFunnels over to Sendgrid. Your cursor will change to the “not allowed” symbol when you click on that text but you will be able to still copy the link to your clipboard. Go back to your Sendgrid account and paste the webhook URL. 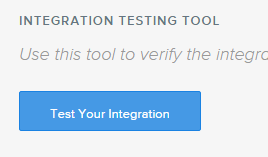 Click Test Your Integration to make sure it is all set up properly. Click the blue checkmark on the right to save your work. 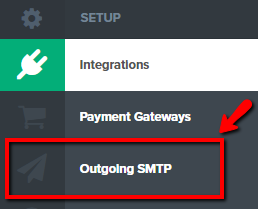 Back in your ClickFunnels account, click Create SMTP Integration. 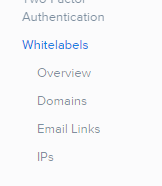 You will want to whitelabel your domains in Sendgrid to increase deliverability. 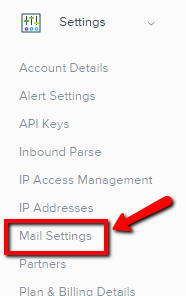 Below your mail settings click on Whitelabels. Add a subdomain you aren't using anywhere else. Check the default whitelabel box. You will be given three CNAME records that will need to be added to your domain host. After you have added the three CNAME records to you host, come back and click Validate Record. 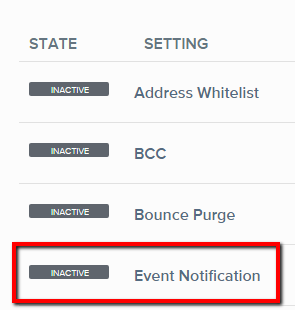 The red X’s will change to green checkmarks. You will need to “rinse and repeat” for all your links. And that’s it! Your integration is complete. If that seemed complicated to you, then I suggest hiring someone to set it up for you. It can get done in less than an hour as opposed to you trying to figure it out for four hours! It is always important to know your limitations so you are not wasting time on things you could outsource rather than working on what you know... your business! If you have any questions, you can reach out to the ClickFunnels support team or look for me on Facebook. I have been known to answer more than a few questions in the ClickFunnels Official Facebook group.